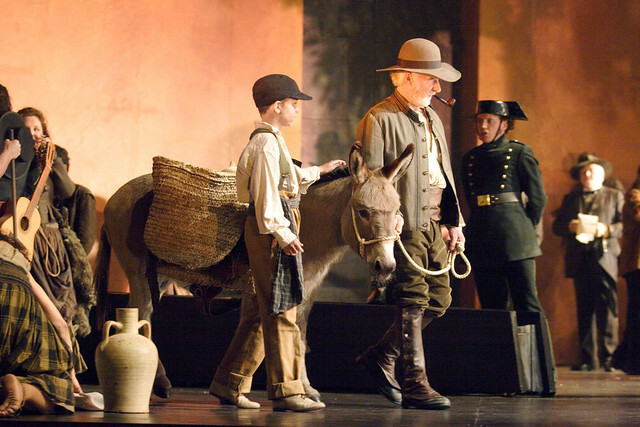 When a director asks for animals in a production, it’s up to the backstage team to source them; in the case of Carmen it’s the responsibility of Jack Stookes, who is stage managing the opera’s revival in October. ‘We use a company called Animal Ambassadors, managed by an animal agent, Kay Weston. She has been arranging the contracts with The Royal Opera for years and always supplies us with fantastic animals that are all stageworthy, trained using a reward system. When a show is new we liaise with her and the director over breeds and colours; when it’s a revival we make sure what we get is as consistent as possible with what we had before.’ Jack and his team also have to deal with the red tape: health and safety inspections, council licences and registering the chickens with DEFRA. 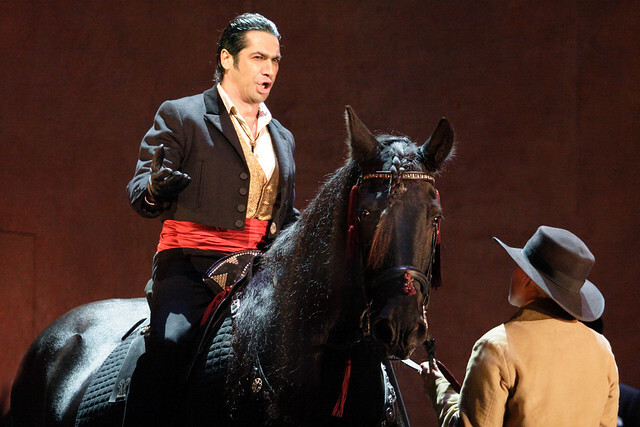 Besides the birds, Carmen features a black horse, Louis, and a donkey, Pollyanne, which are both regulars to this production. The animals are brought to Covent Garden at least an hour before curtain-up – Westminster Council has provided a space for a horsebox outside the theatre — then taken backstage by their handlers to acclimatize in their own holding areas. And what about the delicate subject of toilet training? It’s easily done with dogs, but horses and donkeys are surely another matter. This is something I have emailed the Royal Opera House about last year when I attended Carmen expressing my disappointment with using animals in a performance. The ROH hasn't got back to me yet on it. It's high time we respected animals as they are not ours to use for entertainment. I don't see the necessity in using them in a performance in the 21st century. Apologies for the lack of reply - could you let me know who you emailed so that I can check why you didn't receive a response? In regards your concerns about the animals welfare, whenever an animal is on stage, the relevant health and safety checks are always carried out, licenses are obtained from the local authority and animals are registered with DEFRA. Animals are looked after by trained handlers, including during their time on stage. Their welfare is of paramount importance. Most of us understand that these animals will have very good lives, and would probably be envied by their wild or farmyard cousins.